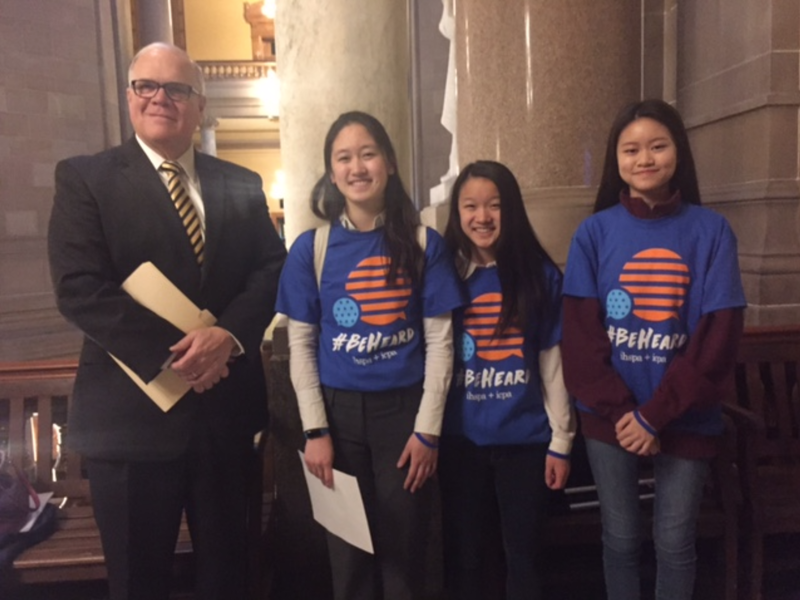 From left to right: John Williams, Carmel High School principal; Carmel students Selena Qian, Angela Quan and Lin-Lin Mo. Selena Qian was one of six high school and college student journalists who testified for House Bill 1130 this week. Williams planned to testify, but he had to leave before the bill was heard. Rep. Ed Clere, R-New Albany, and the bill’s sponsor, read Williams’ testimony. The bill passed the education committee hearing Thursday, Feb. 16 with a 13-0 vote. The bill advances to the full house Monday, Feb. 20.